We highlight 22 final-year undergraduate and postgraduate shows opening during the week of 4 June 2018. As we head into June the number of openings is in full flow, and here we highlight 22 shows opening over the next seven days in Scotland, Wales and England. This degree show sees the University of Hertfordshire’s School of Creative Arts building transformed into an expansive exhibition space, showcasing work by 400 students from across various undergraduate courses including: Graphic Design and Illustration, Photography and Fine Art, along with the work of the MA Art Therapy students. PV 7 June, 4-8 June, College Lane, Hatfield, AL10 9AB. Entitled ‘Squeeze’, this show features 58 artists considering ‘what can be achieved through unpacking the moment, flirting with it and kneading it for answers’. It’s the second of the university’s BA Fine Art degree shows to take place in the school’s new premises, located at the heart of campus on University Road, and is spread across four floors. PV 6 June, 7-23 June, University Road, University of Leeds, Leeds, LS2 9JT. Entitled ‘Five’, this exhibition is named after the number of creative arts courses which take place at the university. Disciplines exhibited will include: BA (Hons) Graphic Design and Visual Communication; BA (Hons) Fine Art Professional Practise; BA (Hons) Photography; BA (Hons) Fashion & BA(Hons) Fashion (Contemporary Costume); BA (Hons) Digital Production and Film Making. PV 7 June, 8-11 June, Ashfield Road, Blackpool, FY2 0HB. The University of Salford’s annual degree show will take place at the New Adelphi building on its main campus, and includes work from across the School of Arts and Media, plus Architecture from the School of the Built Environment. 7-15 June, The Crescent, Salford, M5 4WT. 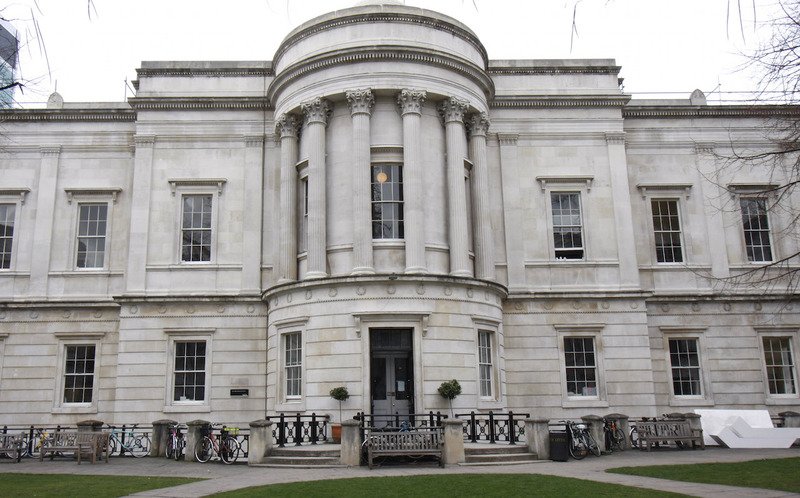 The annual Slade Degree Shows will showcase artworks by graduating students from the UCL Slade School of Fine Art. 7-17 June, Gower Street, London, WC1E 6BT. The annual Creative Industries Degree Show, ‘Con-form’, will showcase work from over 500 graduates from undergraduate and postgraduate art, design, film and journalism programmes. The event is split across the university’s City Campus locations at Arnolfini, Bower Ashton and Spike Island. 8-13 June, Coldharbour Lane, Bristol, BS16 1QY. Arts University of Bournemouth’s 2018 BA and Prep HE Summer Shows showcase a range of different practices, ranging from textiles to board games and comic books. PV 7 June, 8-15 June, Wallisdown, Poole, BH12 5HH. Featuring work by 500 final-year students, this exhibition presents a wide spectrum of disciplines, from architecture and design, to media and photography. A showcase of work by Belfast School of Art students at the school’s studios in the heart of the Cathedral Quarter. 8-16 June, Ulster University, York Street, Belfast, County Antrim, BT15 1ED. Over 200 graduating artists will be displaying their work in a show financially supported by Anglia Ruskin University’s Arts Council. Courses include: Computer Games Art, Fashion Design, Film & Television Production, Fine Art, Graphic Design, Illustration, Illustration and Animation, Interior Design, and Photography. 8-16 June, Ruskin Gallery, East Road, Cambridgeshire, CB1 1PT. Over 300 students across 16 BA (Hons) and BDes (Hons) courses will be displaying their work, embracing the areas of applied arts, digital media, fashion and textiles, fine art, graphic communication, illustration, interior design, photography and product design. 9-20 June, Wulfruna Street, Wolverhampton, WV1 1LY. Highlighting work from students across the college’s undergraduate programmes, this summer’s Plymouth College of Art Degree Shows takes place across three buildings, four floors and more than 20 exhibition spaces. There will be artwork available to purchase, plus film screenings and live presentations running throughout the show schedule. Includes a ‘Fashion Showcase’, taking place in the college’s maker space The Warehouse on 7 June at 8pm, and a Media Showcase at Vue Cinema on 7 June at 4pm. 8-21 June, Tavistock Place, Plymouth, PL4 8AT. 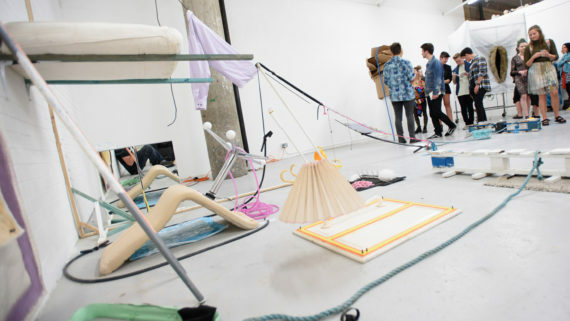 13 artists transform their studio space to present new work as they complete three years of postgraduate study at the Royal Academy Schools. The show will include work spanning a broad range of media and representing the diverse perspective of graduating artists. 8 June – 1 July, Burlington House, London, W1J 0BD. This show will see Leeds Arts University’s buildings transformed into large-scale exhibition spaces, giving visitors the opportunity to view the latest work from its degree courses. There will also be the opportunity to purchase prints, cards, stationery and artwork at the Art Market. 9-14 June, Blenheim Walk, Leeds, LS2 9AQ. Final-year students from across the Faculty of Arts, Science and Technology will be showcasing work they have been working towards throughout their time at university. Courses include BA Fine Art, BA Painting and Drawing. In addition, at the private view on 8 June there will be an awards presentation to final-year students and a musical performance from students from the Popular Music course. PV 8 June, 9-15 June, Avenue Gallery, University of Northampton, St George’s Avenue, Northampton, NN2 6JD. Bath’s annual degree show features work from its various courses, including: Contemporary Arts Practice, Creative Arts, Fashion Design, Fine Art, Graphic Communication, Photography, Textiles for Fashion & Interiors, Three-Dimensional Design, FdA Fashion & Textiles Design Skills. PV 8 June, 9-17 June, Sion Hill, Lansdown, Bath, BA1 5SF. Entitled ‘Synthesis’, Hereford College of Arts’ summer shows feature a variety of different work, plus music and performances. BA, 9-16 June, MA, 23-27 June, College Road Campus, Hereford, HR1 1EB. A showcase of work by final-year Fine Art, Graphic Communication and Illustration, and Textiles students, including an exhibition by Art and Design Foundation students. 9-17 June, Epinal Way, Loughborough, LE11 3TU. This bumper show, titled ‘Show and Tell’, features the work of 250 students graduating from the BA (Hons) Awards within Art & Design and Media. It will also be opened by ceramicist Keith Brymer Jones, who was recently seen as a judge on BBC 2’s The Great Pottery Throw Down. 9-16 June, College Road, Stoke-on-Trent, ST4 2DE. Another large exhibition, this year’s Manchester School of Art degree shows will feature over 1,000 graduating students from across architecture, art, design and media courses from ceramics to sculpture, fashion to filmmaking, and textiles to typography. PV 8 June, 9-20 June, Manchester School of Art, Benzie, Grosvenor and Chatham Buildings, Cavendish Street, M15 6BR and 99 Oxford Road, Old Manchester Met SU, M1 7EL. The Sheffield Institute of Arts 2018 summer shows include work from students in animation, architecture (15-28 June), art and design research PhD, digital media production, fashion design, fashion management and communication, film and media production, fine art, games design, graphic design, illustration, interior design, jewellery and metalwork, photography, product design and furniture design. PV 8 June, 9-22 June, Fitzalan Square, Sheffield, S1 2AY. Entitled ‘The Inspired Festival’, this show features Birmingham School of Art courses including: BA (Hons) Art and Design and BA (Hons) Fine Art, plus Visual Communications, Jewellery, Fashion and Textiles, and more. 11 – 17 June, 82-86 Vittoria St, Birmingham, B1 3PA.